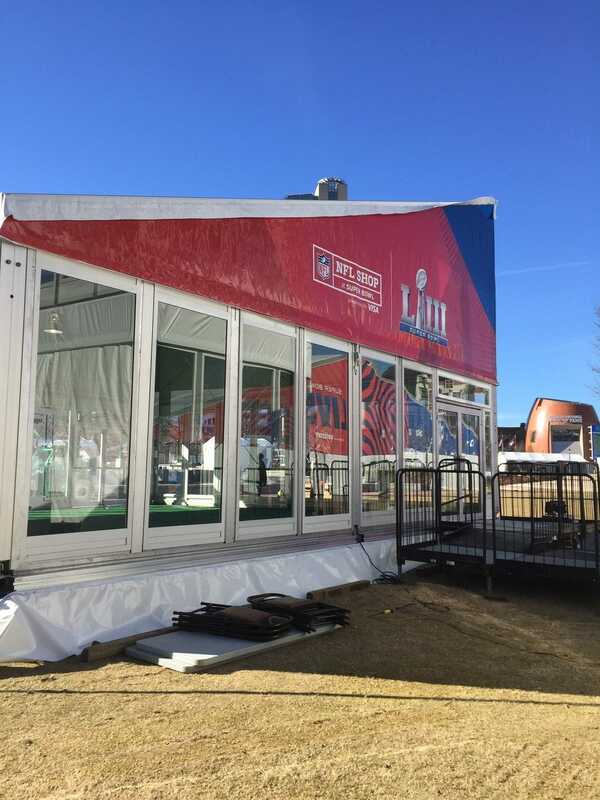 When we were first approached with the amazing opportunity to provide tenting for the ‘Big Game’, we knew that we really wanted to step up our inventory game. 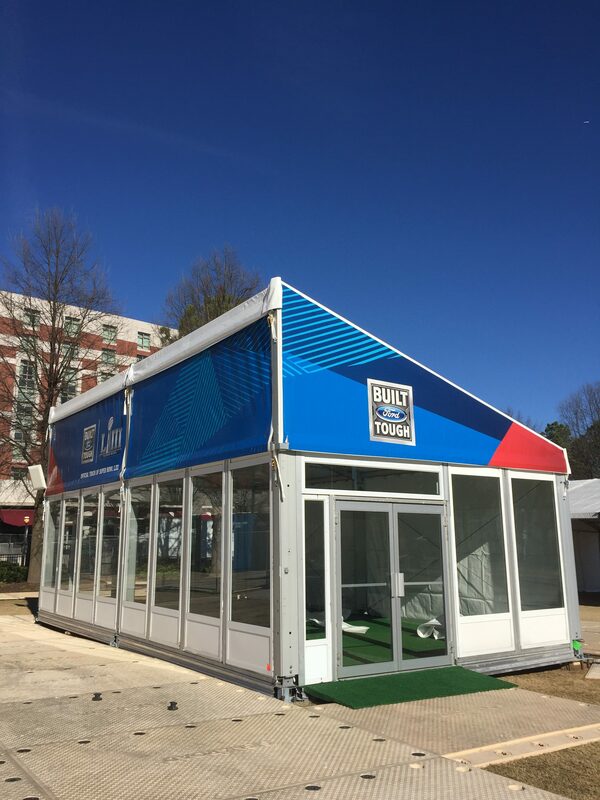 Our VP of Sales and Operations, Michelle McCulloch, searched the globe for unique and interesting tenting ideas, and found her way to a brand new design that both maintains the amazing capabilities of an event tent, but also creates a clean, fresh look with optimal branding opportunities that hasn’t been seen on the market before! We’ve aptly named these tents our ‘Q Series’ for their quadrilateral shape, and are beyond thrilled to be introducing them into the Canadian market in mid February once they’ve been shipped home from Atlanta! These tents are very similar to more traditional tents in that they remain modular. They are available in 5m and 10m widths and are built in 5m bays similar to a standard Clearspan structure. The real difference is that instead of having a peak with two sloped sides, these structures appear almost like a tent cut in half, leaving them with a high flat-front surface which is perfect for branding and unique designs! They come complete with glass walls, double doors, built-in cassette flooring and the ability to brand the upper walls and gables. You can also use fabric walls instead of glass (in a variety of colours! ), lay carpet or hardwood flooring, create ramps and stairs, and even introduce heat or air conditioning to the tent, weather depending! 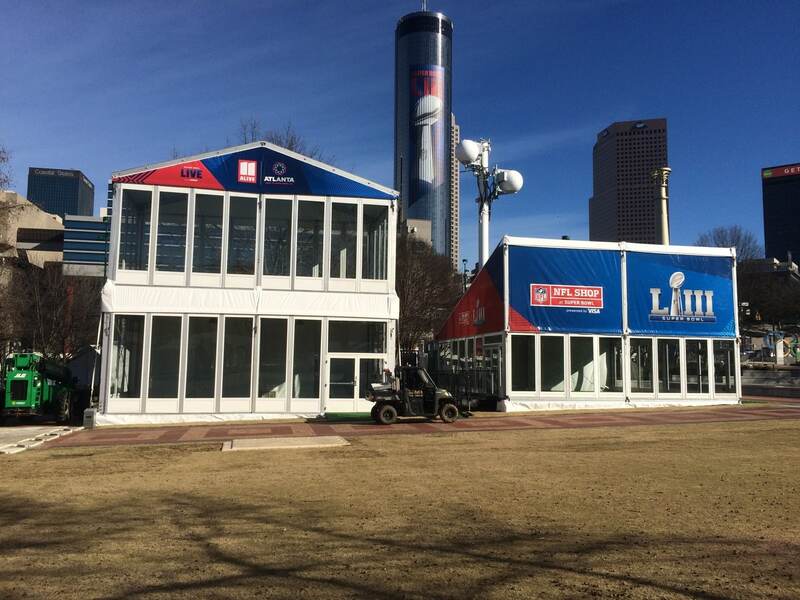 Most importantly, you can brand the heck out of the tent which creates incredible sponsorship opportunities! 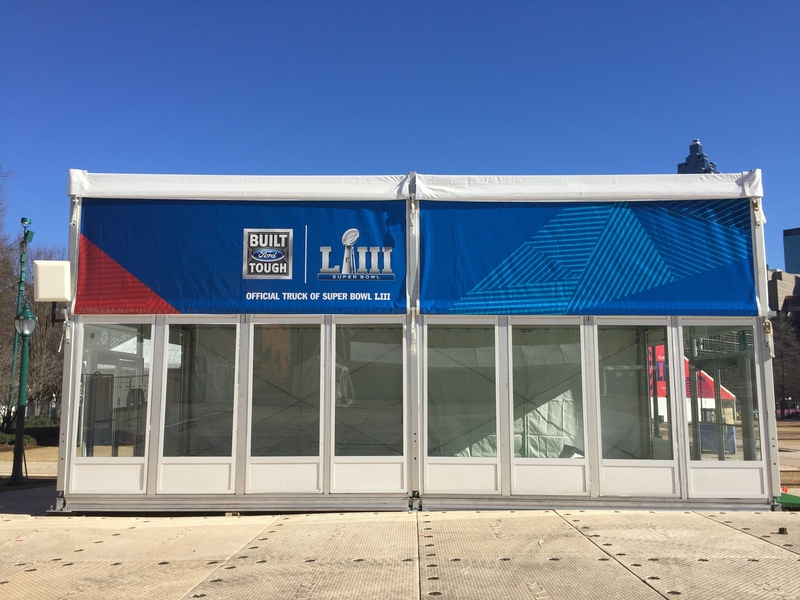 We can’t wait to start putting these new structures up around Canada, and to introduce another brand new way to use a tent to our clientele! Thinking outside the box (or the tent if you will!) has always been something we pride ourselves on at Regal Tent, and ensures that we continue to grow with the fast-paced events industry, which is no small task! 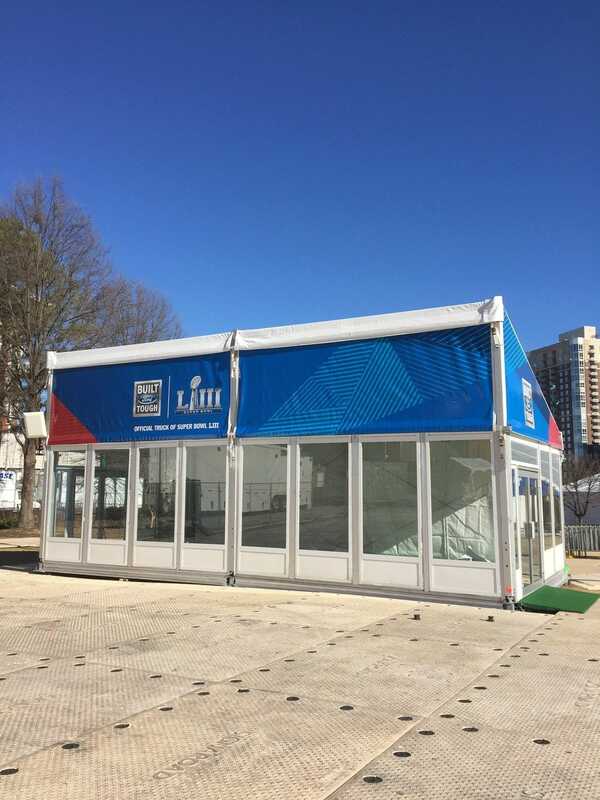 If you’d like to learn more about how our Q Series tents could work for your event, pop up shop, bar, and the list goes on and on, please don’t hesitate to reach out to us by clicking here! We can’t wait to hear from you!